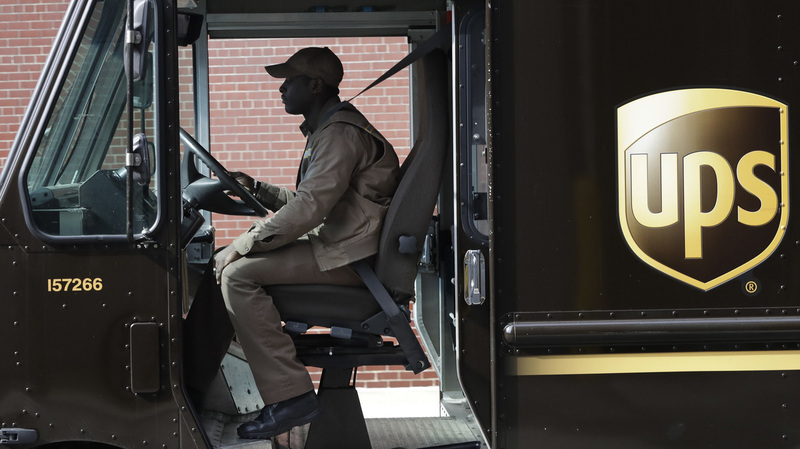 Attention Holiday Shoppers: UPS To Add Delivery Surcharges : The Two-Way UPS plans to charge retailers a fee for orders placed around Black Friday and Christmas. Retailers now have to decide whether they will raise shipping fees on consumer orders. The first day of summer doesn't begin until Wednesday but United Parcel Service already is looking ahead to the colder seasons with plans to charge retailers an extra fee for orders placed around Black Friday and Christmas. And consumers could end up carrying that extra weight if retailers decide to pass on the cost by raising shipping fees. Online shopping has become so successful that UPS and other delivery services are a fundamental service that keeps the retail season moving. On a normal daily average, UPS handles 19 million packages. During the peak holiday season, that number jumps to more than 30 million packages a day. UPS says to meet demand, it's had to add planes, trucks and thousands of employees. The company claims the surcharges are necessary to offset the additional cost of delivering all those holiday packages. Between Nov. 19 and Dec. 2 this year, UPS says it will add a 27-cent charge on all ground packages sent to homes. Those dates include Black Friday, which is Nov. 24, and Cyber Monday, which is Nov. 27. Consumers then get a two-week reprieve from the additional charge, but the fee makes a comeback to usher in the final holiday rush. UPS says from Dec. 17 to Dec. 23, it will charge an extra 27 cents for each ground shipment, 81 cents for next-day air and 97 cents for two- or three-day delivery. "Patrick Gill, chief executive of the high-end fishing gear site TackleDirect.com, said news of the surcharge was frustrating since it is going to be applied when his site needs lower rates to compete against Amazon.com , Wal-Mart Stores and others. "This will add up to be another unaccounted for expense during the holiday season," Mr. Gill said. "It will force us to push some product away from UPS in some cases." A possible way around the surcharge could be the ship-to-store option. Because businesses generally receive more deliveries, the cost per package is typically lower. The holiday season will be here in no time. Why not start that shopping list now? Surely someone you know needs a tacky summer vacation souvenir.